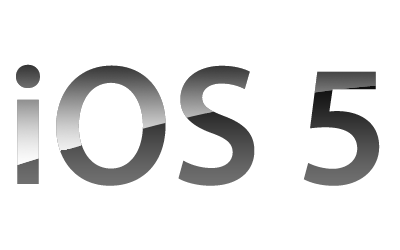 Apple has officially released iOS 5 for the iPhone, iPad and iPod touch. A comprehensive list of all the new features of iOS 5.0. -> Wireless iOS Software Updates "cut the cord"
-> For the songs you've already bought, Apple has added a purchase button. Show you your entire purchase history. Look at it by recent songs or by artist. -> 5GB free storage for mail, documents and backup. Not counting purchased music, apps, or books towards that. Nor counting Photo Stream. -> What's iTunes Match? "It uses the fact that we've got 18 million songs in the iTunes music store. The chances are good we have the songs you've ripped. So we have software to scan your music and match it with the store. We give that music the same benefits as purchased music." -> "iTunes Match will upgrade those songs to 256 kpbs AAC DRM-free"
-> "It costs $24.99 a year"
-> Sign in once on iDevice never need to sign out. You can get the update by connecting your device to iTunes and clicking the Check for Update button.